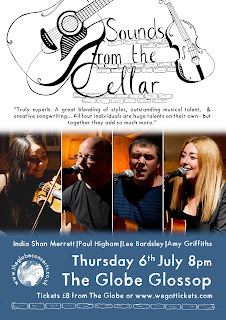 Lee Bardsley, Amy Griffiths, Paul Higham & India Shan Merrett are a freshly formed, exciting collaboration of local musicians, coming together for special evenings of wonder, song, tunes and merriment. Expect enchanting original compositions, the odd specially selected cover for good measure and a spot of traditional fiddle-all awash with love, luscious harmonies and just the right amount of magic. "The 'Sounds from the cellar' gig last evening was truly superb. 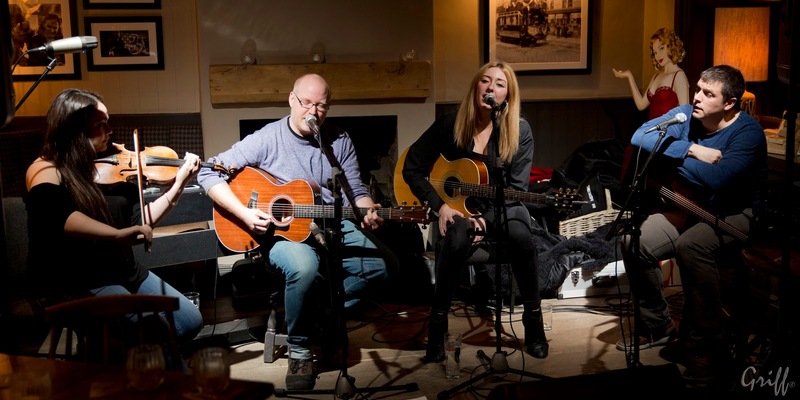 A great blending of styles, outstanding musical talent, creative songwriting and a well prepared setting with excellent acoustics and very well balanced mixing. 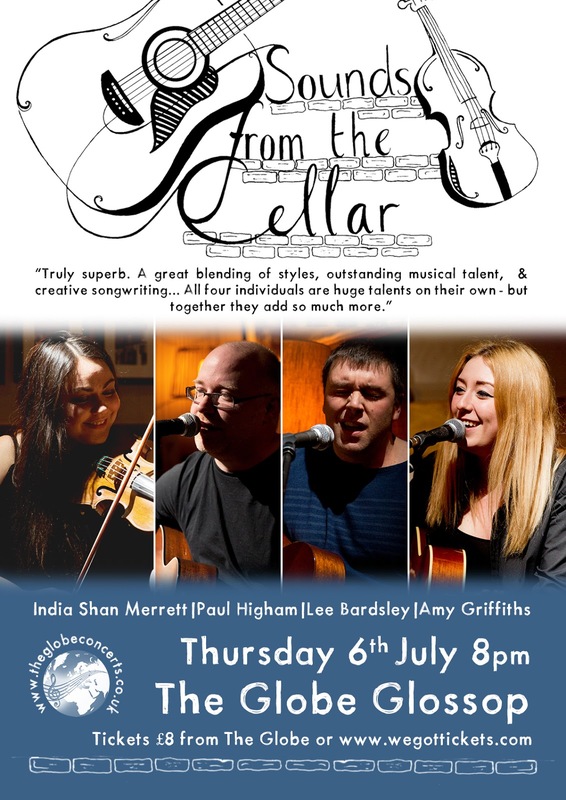 All four individuals, Amy, India, Paul and Lee - are huge talents on their own - but together they add so much more.